Japan is an island nation located in the Pacific Ocean on the eastern part of Asia. The first Jews to settle in Japan came during the late-19th century. Today, the Jewish population in Japan is approximately 1,000. When representatives from Japan and the United States signed a historic treaty in March 1854, Commodore Matthew C. Perry of the U.S. Navy had successfully opened the doors of trade with Japan. With this new enterprise came a small number of Jewish merchants settling down in the principal port cities of the islands. The first Jews to arrive were Alexander Marks and his brother in Yokohama in 1861. They were followed by American businessman Raphael Schover. Though primarily involved with trade and commerce, Schover also became the publisher of the Japan Express, the first foreign-language newspaper in Japan. The first Jews to immigrate to Japan were primarily from Poland, the United States and England. Most made their homes in Yokohama, just south of present-day Tokyo. They establsihed a synagogue, school, cemetery and burial society. Even today, Yokohama continues to be the main hub of Japanese Jewish life. In the late 1860s, approximately 50 Jewish families lived in Japan. The earliest Jewish tombstone dates 1865. By 1895 this community, dedicated Japan's first synagogue. In 1882, after many years of careful planning and hard work, a committee of Protestant missionaries and Japanese Christian converts completed a Japanese translation of the Old Testament. In the late 19th century, a Jewish settlement was founded in Nagasaki. It was mainly composed of Jews of Russian origin who came to Nagasaki because it had long been used by the Russian Far Eastern Fleet as a base for rest and relaxation. This community maintained a synagogue, community center and cemetry, which was uncovered post-World War II. It was considerably larger than the settlement in Yokohama, with about 100 families. In Nagasakis, the Beth Israel Synagogue was built in 1894. One of the more popular and notable members of this congregation was Joseph Trumpeldor, who lost an arm during the Russo-Japanese War. Trumpeldor later became a hero of the Zionist movement, contributing in the formation of the Jewish defense forces in Palestine. After the earthquake of 1923, this settlement moved to the rising port of Kobe. Around the time of World War I, Jewish immigration to Japan increased. Many Russian Jews fleeing the Russian Revolution of 1905 and the Bolshevik Revolution of 1917 traveled through Manchuria and China, eventually settling in Japan. Some settled permanently in Tokyo, Yokohama, and Kobe, but many others eventually found haven in the United States and Latin America. After World War I, there were only a few thousand Jews living in Japan. Most of the Jewish population was concentrated in the cities. Ironically, most of the Japanese population was unaware of the Jews and the Jewish faith. Many actually percieved Judaism as a Christian sect. In the 1920s, however, anti-Semitism first surfaced. This hatred stemmed from soldiers who were a part of Japan's Siberian Expedition (1918-1922). These soldiers had been infected with anti-Jewish thoughts from extremely anti-Semitic White Russians. Although prejudice existed, it was not widespread. In 1931, the Japanese attacked Chinese troops in Manchuria. As Japan looked to expand it's military power, the fortunes of thousands of Jews were both directly and indirectly affected. During the early years of World War II, many Jewish refugees found haven in the Far East. Many settled in Shanghai. However, in 1941 the Japanese occupied the Settlement and about 50,000 Jews came under Japanese military rule. Refugees were placed to internment camps for the rest of the war, far better than the concentration camps back in Europe. As Japan developed a closer relationship with Nazi Germany, anti-Semitic literature was introduced in Japan. After 1937, many anti-Semitic works were translated into Japanese from German. These books had limited circulation and people were unaffected by them. Despite being allied to Nazi Germany, the Japanese did not adopt the anti-Semitic attitude of the Nazis, and even helped the Mir Yeshivah escape from occupied Europe. The United States occupied Japan from 1945 to 1952 and it was in these seven years that the Jewish population reached its zenith. This population consisted of Jewish officials of General MacArthur's regime and many Jewish G.I.'s. When the occupation ended, the number of Jews dissipated. history and culture. Even Prince Mikasa of the imperial family was drawn to Judaism. Converting to Judaism was not very common. The majority of converts were Japanese women who had married American-Jewish servicemen, eventually moving to the United States. Setsuzo Kotsuji was one of the few male converts to Judaism. He was a descendant from a long line of Shinto priests, on a quest for faith that led him to Judaism. By 1970, approximately 1,000 Jews lived in Japan, mostly in Tokyo and Yokohama. In the 1970s and 1980s, there was an influx of foreign workers that justify increased the number of Jews living in Japan. The Tokyo community began development post-World War II. The community established a synagogue and religous school, a Judaica and general library, a restaurant, a mikveh, and a hevra kaddisha. Services are held every Sabbath and on holidays. The community is a member of the Federation of Jewish Communities of Southeast Asia and the Far East. It also recieved an award from the Japanese government for creating "mutual understanding and goodwill between the Japanese and Jewish peoples." Tokyo served as the home of the Japan-Israel Women's Welfare Organization (J.I.W.W.O. ), the Japan Israel Friendship Association (J.I.F.A.) and the Society for Old Testament Students. The annual J.I.W.W.O Hanukkah bazaar is always attended by a member of the Japanese imperial family. J.I.W.W.O also finances and sends students to Israel each year. The Kobe Community consists of about 30 families. Most of these familes are of Sephardi origin. 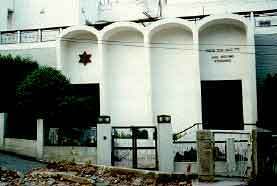 Its Ohel Shelomo Synagogue was completed in 1969. There are approximately 1,000 Jews in Japan, today excluding American armed forces personnel and staff. Most reside in the Tokyo area. About 60 percent come from the U.S., 25 percent from Israel, and the rest from all over the world. There are only about a dozen Japanese converts. Professionally, most represent major businesses, banks and financial institutions, or are journalists and students. The number who are active in synagogue or community affairs is considerably fewer. It is rare for these communities to have a Bar or Bat Mitzvah or a Jewish wedding. The Kibbutz Society publishes the Kibbutz Monthly in Japanese. Since 1986, a number of books about the Jewish faith have been published and distributed throughout Japan. Jewish subjects are occasionally taught in schools. At the Institute of Social Sciences at Waseda University there is a Jewish Studies Program. There is also the Studies on Jewish Life and Culture (Yudaya-Isuraeru Kenkyu), a journal by the Japan Society for Jewish Studies, which has published several issues since its establishment in 1961. The average Japanese still have very little knowledge of the Jews. Information is very limited if not misleading. The Jewish community in Japan is working hard to make accurate information about Jews more accessible. Formal diplomatic ties were established in 1952. The Japanese government did, however, cooperate for many years with the Arab boycott of Jewish products and manufactured goods, hindering for decades Israel's capacity to reach it's full economic potential. Since the mid-1980s, Israel and Japan have steadily expanded bilateral cooperation, reflected in the signing of several agreements, reciprocal visits of prime ministers and ministers and Japan’s contribution to the multilateral peace process. During 2002, Israel and Japan celebrated the 50th anniversary of the establishment of diplomatic relations. The Makuya and the Christian Friends of Israel, two relatively new religious sects, are strong supporters of Israel. Makuya is a pro-Israel Christian group with about 60,000 members, Every year three groups consisting of 50-70 Japanese youth spend time on a kibbutz in Israel through Makuya. Christian Friends of Israel has about 10,000 members. 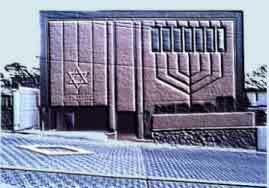 Its headquarters, Beit Shalom (House of Peace), is located in Kyoto. The group's focus is on supporting Israel and includes prayers for the coming of the Messiah. There is a common bond between us, said Netanyahu at a meeting with the members of the Israel Japan Parliamentary Friendship League. We're both democratic, progress, technological societies. You face North Korea, which is a rogue regime with nuclear weapons. We face the possibility of Iran, which is a rogue regime that wants to have nuclear weapons. They're cooperating between them, and we should cooperate between us. In June 2014, Israeli Economic Minister Naftali Bennett and Japanese Minister of Economy, Trade and Industry Toshimitsu Motegi signed Japan's first ever Industrial R&D Collaboration Agreement. This agreement creates joint projects in the fields of homeland security and cyber-security, among others. The Director of the Israeli Space Agency also paid a visit to Japan in June 2014. Japan’s Minister of Economy, Trade, and Industry made his first trip to Israel in July 2014, where he participated in the Israel-Japan business forum. Japanese industrial water treatment company Kurita Water Industries Ltd struck a deal worth $317.8 million with Israel Chemicals LLC on October 27, 2014. In order to comply with the Knesset's 2012 laws requiring Israeli companies to divest part of their holdings to combat over-concentration of wealth, Israel Chemicals Limited is handing over the aluminum, paper chemicals, and water treatment aspects of their operation. Through this deal, according to Kurita President Toshiyuki Nakai, Kurita acquires APW’s diverse product portfolio and broad customer base in Europe, as well as other regions. Combining Kurita’s existing customer base, which is mainly in Japan and the Asia region, with APW’s customer base, will further strengthen Kurita’s overseas business platform. On January 4, 2015, Israeli Prime Minister Netanyahu’s cabinet approved his proposed plan to strengthen economic links and cooperation with Japan. The plan called for a trade office to be opened in Osaka in addition to the established trade office in Tokyo, increasing joint research grants for space related projects, increasing space cooperation, and increasing cooperation with transportation technologies. Japanese Prime Minister Shinzo Abe and a delegation of over 100 Japanese officials arrived in Israel on an official state visit on January 18, 2015. The Japanese officials and Israeli Prime Minister Benjamin Netanyahu’s cabinet approved a series of measures increasing cooperation and trade between Japan and Israel by several million dollars. The group also signed an agreement to station an office of the Israeli Economic Ministry in Osaka, which opened in November 2015. According to Peleg Lewi, the head of Israel’s Embassy in Tokyo, Israel faces intense market competition in Japan from South Korea where trade between the two countries is 30% higher. A Japanese delegation from the Kansai region (the Central-Southern region of Japan's main island, Honshu) visited Israel in March 2016 to promote economic ties between the two countries. A Memorandum of Understanding was signed by the Japanese and Israeli officials during the visit, affirming their strong relationship and praising their flourishing economic cooperation. In April 2016, multiple deadly earthquakes rocked Japan and Ecuador, and IsraAID was there to assist with humanitarian aid and various supplies. Israeli relief workers opened child care centers and mobile health clinics in Japan for those affected by the disaster, and offered medical treatment, shelter, psychological assistance, and other resources to the Ecuadoran victims. Japanese and Israeli Ministers signed an agreement aimed at making it easier for Japanese entities to fund Israeli cyber-security firms on February 1, 2017. Japanese companies are interested in utilizing Israeli cyber-technology and cyber-security in preparing for their hosting of the 2020 Olympic and Paralympic gams in Tokyo. Two agreements for greater cooperation in the fields of both business and cyberdefense were signed in Jerusalem between Japanese minister of economy, trade, and industry Hiroshige Seko and his Israeli counterparts on May 3, 2017. Japanese President Shinzo Abe arrived in Israel with his wife and a business delegation in tow on May 1, 2018, for a two day visit that included meetings with Israeli and Palestinian officials. Benjamin and Sarah Netanyahu hosted Abe and his wife for dinner, during which they discussed the Iranian and North Korean Nuclear programs, as well as beginning direct flights between Israel and Japan. The Japanese Minister held meetings with Palestinian officials in Ramalah, and toured a joint Israeli-Palestinian industrial park in Jericho that was partly funded by Japanese investment. Japanese investment in Israel has increased twenty-fold since Prime Minister Netanyahu's historic visit to Japan in May 2014. 4-12-12 Kitano-cho , Chuo-ku, Kobe 650-0002. There is a mikva on the premises. Shabbat morning services start at 9:30 a.m., followed by a full kiddush meal. There are no Jews living in Nagasaki. The old Jewish cemetery is located at Sakamoto Gaijin Bochi. The site of the first synagogue in Japan is Umegasaki Machi. While there is no native Jewish community. on Okinawa, there are normally 200-300 Jews serving with the U.S. military on the island. Regular services are conducted by the Jewish chaplain at Camp Smedley D. Butler, and visitors are welcomed. Jewish Community Center, 8-8 Hiroo, 3-Chome, Shibuya-ku, 150. Tel: 3400-2559 Fax (03) 3400-1827. Synagogue: Beth David Synagogue is in the Community Centre premises. Services held Fri. evening., 6.30 p.m.
(7.00 summer); Shabbat morning, 9.30 a.m., and on Holy days & festivals. Rabbi James Lebeau. Kosher: Kosher meals availlable in the Community Centre premises, Advance notification requested. Israel Embassy, 3 Niban-cho Chiyodaku. Tel: 3264-0311. 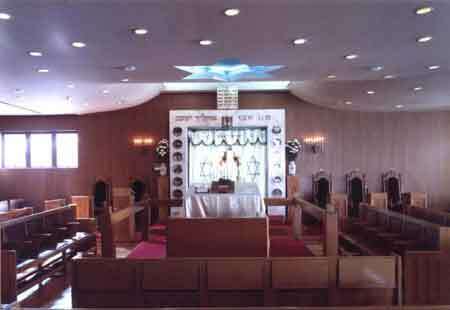 There is a Jewish chapel at the United States naval base here, and some religious services at the base are open to visitors. Sources: Original article written by Mara Weiss. Noa Landau. Despite Support for Palestinians, as China Grows Stronger Japan Seeks Closer Ties With Israel, Haaretz, (May 2, 2018).